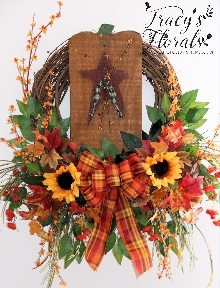 Primitive wood pumpkin wreath overflowing with fall leaves, bittersweet, sunflowers, ficus, orange mini mums, grasses and a fall plaid bow. 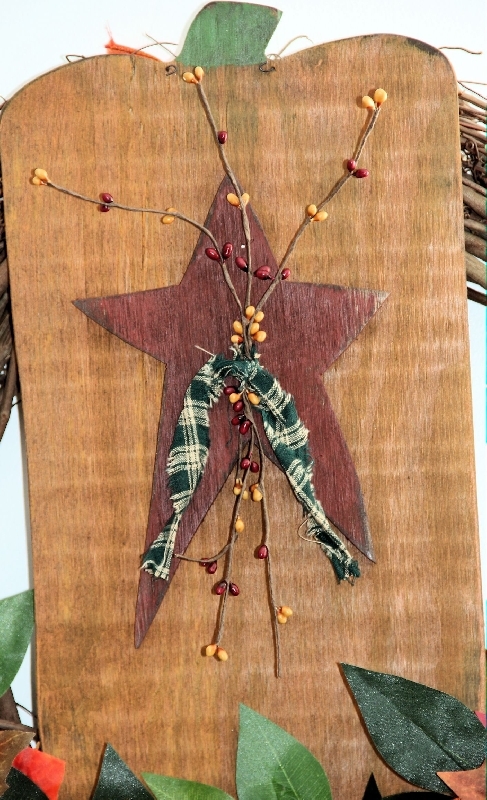 Featuring a large distressed wood pumpkin with star and berries. 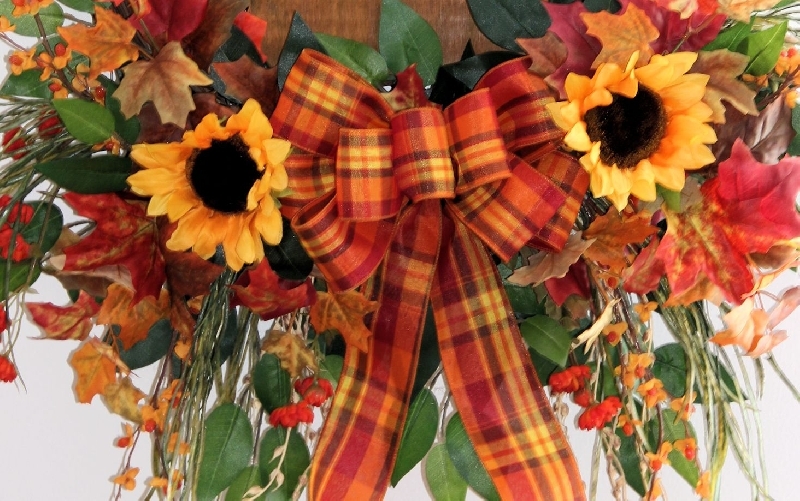 Perfect indoors or on a covered outdoor area. 28"tall, 24"wide, 6" in depth.